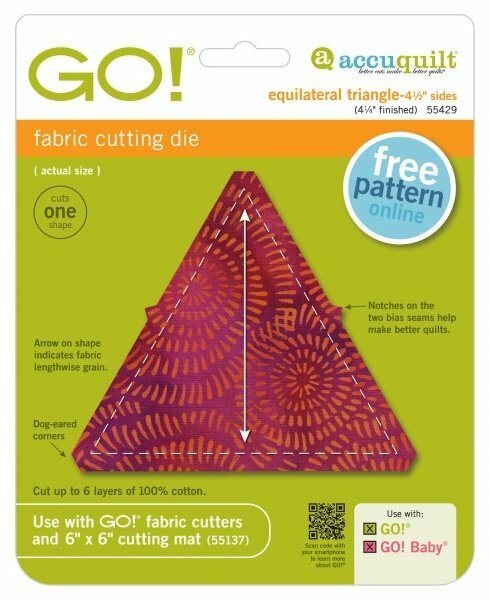 Equilateral triangle quilts are everywhere right now! This versatile shape showcases all your favorite fabrics in a great alternative to simple patchwork. Now's the time to add this staple to your die collection, especially since it coordinates with GO! Hexagon-4 1/2” Sides (55438) and GO! Half Hexagon-4 1/2” Sides (55437) for endless possibilities. Fits pre-cut 5" squares.